Abstract: When humans interact and collaborate with each other, they coordinate their turn-taking be-haviours using verbal and non-verbal signals, expressed in the face and voice. If robots of the fu-ture are supposed to engage in social interaction with humans, it is essential that they can gen-erate and understand these behaviours. In this article, I give an overview of several studies that show how humans in interaction with a human-like robot make use of the same coordination signals typically found in studies on human-human interaction, and that it is possible to auto-matically detect and combine these cues to facilitate real-time coordination. The studies also show that humans react naturally to such signals when used by a robot, without being given any special instructions. They follow the gaze of the robot to disambiguate referring expressions, they conform when the robot selects the next speaker using gaze, and they respond naturally to subtle cues, such as gaze aversion, breathing, facial gestures and hesitation sounds. Cuayáhuitl, H., Kazunori, K., & Skantze, G. (2015). Introduction for Speech and language for interactive robots. Computer Speech and Language, 34(1), 83-86. Abstract: Traditional dialogue systems use a fixed silence threshold to detect the end of users’ turns. Such a simplistic model can result in system behaviour that is both interruptive and unresponsive, which in turn affects user experience. Various studies have observed that human interlocutors take cues from speaker behaviour, such as prosody, syntax, and gestures, to coordinate smooth exchange of speaking turns. However, little effort has been made towards implementing these models in dialogue systems and verifying how well they model the turn-taking behaviour in human–computer interactions. We present a data-driven approach to building models for online detection of suitable feedback response locations in the user's speech. We first collected human–computer interaction data using a spoken dialogue system that can perform the Map Task with users (albeit using a trick). On this data, we trained various models that use automatically extractable prosodic, contextual and lexico-syntactic features for detecting response locations. Next, we implemented a trained model in the same dialogue system and evaluated it in interactions with users. The subjective and objective measures from the user evaluation confirm that a model trained on speaker behavioural cues offers both smoother turn-transitions and more responsive system behaviour. Abstract: In this paper, we present a study where a robot instructs a human on how to draw a route on a map. The human and robot are seated face-to-face with the map placed on the table between them. The user’s and the robot’s gaze can thus serve several simultaneous functions: as cues to joint attention, turn-taking, level of understanding and task progression. We have compared this face-to-face setting with a setting where the robot employs a random gaze behaviour, as well as a voice-only setting where the robot is hidden behind a paper board. In addition to this, we have also manipulated turn-taking cues such as completeness and filled pauses in the robot’s speech. By analysing the participants’ subjective rating, task completion, verbal responses, gaze behaviour, and drawing activity, we show that the users indeed benefit from the robot’s gaze when talking about landmarks, and that the robot’s verbal and gaze behaviour has a strong effect on the users’ turn-taking behaviour. We also present an analysis of the users’ gaze and lexical and prosodic realisation of feedback after the robot instructions, and show that these cues reveal whether the user has yet executed the previous instruction, as well as the user’s level of uncertainty. ne a robot, or if it plans to take over the world. People were also interested in the feelings and likes of the robot and they asked many personal questions - this is how Furhat ended up with its rst marriage proposal. People who talked to Furhat were asked to complete a questionnaire on their assessment of the conversation, with which we could show that the interaction with Furhat was rated as a pleasing experience. Abstract: In this article, we present Furhat – a back-projected human-like robot head using state-of-the art facial animation. Three experiments are presented where we investigate how the head might facilitate human-robot face-to-face interaction. First, we investigate how the animated lips increase the intelligibility of the spoken output, and compare this to an animated agent presented on a flat screen, as well as to a human face. Second, we investigate the accuracy of the perception of Furhat’s gaze in a setting typical for situated interaction, where Furhat and a human are sitting around a table. The accuracy of the perception of Furhat’s gaze is measured depending on eye design, head movement and viewing angle. Third, we investigate the turn-taking accuracy of Furhat in a multi-party interactive setting, as compared to an animated agent on a flat screen. We conclude with some observations from a public setting at a museum, where Furhat interacted with thousands of visitors in a multi-party interaction. Abstract: This paper presents a model of incremental speech generation in practical conversational systems. The model allows a conversational system to incrementally interpret spoken input, while simultaneously planning, realising and self-monitoring the system response. If these processes are time consuming and result in a response delay, the system can automatically produce hesitations to retain the floor. While speaking, the system utilises hidden and overt self-corrections to accommodate revisions in the system. The model has been implemented in a general dialogue system framework. Using this framework, we have implemented a conversational game application. A Wizard-of-Oz experiment is presented, where the automatic speech recognizer is replaced by a Wizard who transcribes the spoken input. In this setting, the incremental model allows the system to start speaking while the user's utterance is being transcribed. In comparison to a non-incremental version of the same system, the incremental version has a shorter response time and is perceived as more efficient by the users. Abstract: In this study, an explorative experiment was conducted in which subjects were asked to give route directions to each other in a simulated campus (similar to Map Task). In order to elicit error handling strategies, a speech recogniser was used to corrupt the speech in one direction. This way, data could be collected on how the subjects might recover from speech recognition errors. This method for studying error handling has the advantages that the level of understanding is transparent to the analyser, and the errors that occur are similar to errors in spoken dialogue systems. The results show that when subjects face speech recognition problems, a common strategy is to ask task-related questions that confirm their hypothesis about the situation instead of signalling non-understanding. Compared to other strategies, such as asking for a repetition, this strategy leads to better understanding of subsequent utterances, whereas signalling non-understanding leads to decreased experience of task success. Lopes, J., Engwall, O., & Skantze, G. (2017). A First Visit to the Robot Language Café. In Proceedings of SLATE. Stockholm, Sweden. Johansson, R., Skantze, G., & Jönsson, A. (2017). A psychotherapy training environment with virtual patients implemented using the Furhat robot platform. In In Proceedings of International Conference on Intelligent Virtual Agents (pp. 184-187). Stockholm, Sweden. Avramova, V., Yang, F., Li, C., Peters, C., & Skantze, G. (2017). A Virtual Poster Presenter Using Mixed Reality. In Proceedings of International Conference on Intelligent Virtual Agents (pp. 25-28). Stockholm, Sweden. Shore, T., & Skantze, G. (2017). Enhancing reference resolution in dialogue using participant feedback. In Proceedings of International Workshop on Grounding Language Understanding. Stockholm, Sweden. Abstract: In this demonstration we present a test-bed for collecting data and testing out models for multi-party, situated interaction between humans and robots. Two users are playing a collaborative card sorting game together with the robot head Furhat. The cards are shown on a touch table between the players, thus constituting a target for joint attention. The system has been exhibited at the Swedish National Museum of Science and Technology during nine days, resulting in a rich multi-modal corpus with users of mixed ages. Abstract: In this paper, we present a data-driven approach for detecting instances of miscommunication in dialogue system interactions. A range of generic features that are both automatically extractable and manually annotated were used to train two models for online detection and one for offline analysis. Online detection could be used to raise the error awareness of the system, whereas offline detection could be used by a system designer to identify potential flaws in the dialogue design. In experimental evaluations on system logs from three different dialogue systems that vary in their dialogue strategy, the proposed models performed substantially better than the majority class baseline models. Abstract: Repetitions in Spoken Dialogue Systems can be a symptom of problematic communication. Such repetitions are often due to speech recognition errors, which in turn makes it harder to use the output of the speech recognizer to detect repetitions. In this paper, we combine the alignment score obtained using phonetic distances with dialogue-related features to improve repetition detection. To evaluate the method proposed we compare several alignment techniques from edit distance to DTW-based distance, previously used in Spoken-Term detection tasks. We also compare two different methods to compute the phonetic distance: the first one using the phoneme sequence, and the second one using the distance between the phone posterior vectors. Two different datasets were used in this evaluation: a bus-schedule information system (in English) and a call routing system (in Swedish). The results show that approaches using phoneme distances over-perform approaches using Levenshtein distances between ASR outputs for repetition detection. Abstract: In this demonstration we show how situated multi-party human-robot interaction can be modelled using the open source framework IrisTK. We will demonstrate the capabilities of IrisTK by showing an application where two users are playing a collaborative card sorting game together with the robot head Furhat, where the cards are shown on a touch table between the players. The application is interesting from a research perspective, as it involves both multi-party interaction, as well as joint attention to the objects under discussion. Abstract: In this paper we present a data-driven model for detecting opportunities and obligations for a robot to take turns in multi-party discussions about objects. The data used for the model was collected in a public setting, where the robot head Furhat played a collaborative card sorting game together with two users. The model makes a combined detection of addressee and turn-yielding cues, using multi-modal data from voice activity, syntax, prosody, head pose, movement of cards, and dialogue context. The best result for a binary decision is achieved when several modalities are com-bined, giving a weighted F1 score of 0.876 on data from a previously unseen interaction, using only automatically extractable features. Abstract: We present a technique for crowd-sourcing street-level geographic information using spoken natural language. In particular, we are interested in obtaining first-person-view information about what can be seen from different positions in the city. This information can then for example be used for pedestrian routing services. The approach has been tested in the lab using a fully implemented spoken dialogue system, and is showing promising results. Abstract: In this paper, we describe a project that explores a novel experi-mental setup towards building a spoken, multi-modally rich, and human-like multiparty tutoring robot. A human-robot interaction setup is designed, and a human-human dialogue corpus is collected. The corpus targets the development of a dialogue system platform to study verbal and nonverbal tutoring strategies in multiparty spoken interactions with robots which are capable of spoken dialogue. The dialogue task is centered on two participants involved in a dialogue aiming to solve a card-ordering game. Along with the participants sits a tutor (robot) that helps the participants perform the task, and organizes and balances their interaction. Different multimodal signals captured and auto-synchronized by different audio-visual capture technologies, such as a microphone array, Kinects, and video cameras, were coupled with manual annotations. These are used build a situated model of the interaction based on the participants personalities, their state of attention, their conversational engagement and verbal dominance, and how that is correlated with the verbal and visual feedback, turn-management, and conversation regulatory actions generated by the tutor. Driven by the analysis of the corpus, we will show also the detailed design methodologies for an affective, and multimodally rich dialogue system that allows the robot to measure incrementally the attention states, and the dominance for each participant, allowing the robot head Furhat to maintain a well-coordinated, balanced, and engaging conversation, that attempts to maximize the agreement and the contribution to solve the task. This project sets the first steps to explore the potential of using multimodal dialogue systems to build interactive robots that can serve in educational, team building, and collaborative task solving applications. Abstract: We will show in this demonstrator an advanced multimodal and multiparty spoken conversational system using Furhat, a robot head based on projected facial animation. Furhat is an anthropomorphic robot head that utilizes facial animation for physical robot heads using back-projection. In the system, multimodality is enabled using speech and rich visual input signals such as multi-person real-time face tracking and microphone tracking. The demonstrator will showcase a system that is able to carry out social dialogue with multiple interlocutors simultaneously with rich output signals such as eye and head coordination, lips synchronized speech synthesis, and non-verbal facial gestures used to regulate fluent and expressive multiparty conversations. The dialogue design is performed using the IrisTK  dialogue authoring toolkit developed at KTH. The system will also be able to perform a moderator in a quiz-game showing different strategies for regulating spoken situated interactions. Abstract: This paper describes a novel experimental setup exploiting state-of-the-art capture equipment to collect a multimodally rich game-solving collaborative multiparty dialogue corpus. The corpus is targeted and designed towards the development of a dialogue system platform to explore verbal and nonverbal tutoring strategies in multiparty spoken interactions. The dialogue task is centered on two participants involved in a dialogue aiming to solve a card-ordering game. The participants were paired into teams based on their degree of extraversion as resulted from a personality test. With the participants sits a tutor that helps them perform the task, organizes and balances their interaction and whose behavior was assessed by the participants after each interaction. Different multimodal signals captured and auto-synchronized by different audio-visual capture technologies, together with manual annotations of the tutor’s behavior constitute the Tutorbot corpus. This corpus is exploited to build a situated model of the interaction based on the participants’ temporally-changing state of attention, their conversational engagement and verbal dominance, and their correlation with the verbal and visual feedback and conversation regulatory actions generated by the tutor. Skantze, G., Anna, H., & Oertel, C. (2014). User Feedback in Human-Robot Dialogue: Task Progression and Uncertainty. In Proceedings of the HRI Workshop on Timing in Human-Robot Interaction. Bielefeld, Germany. Abstract: We present a novel scheme for enriching geographic database with street-level geographic information that could be useful for pedestrian navigation. A spoken dialogue system for crowdsourcing street-level geographic details was developed and tested in an in-lab experimentation, and has shown promising results. Abstract: We present a data-driven model for detecting suitable response locations in the user’s speech. The model has been trained on human–machine dialogue data and implemented and tested in a spoken dialogue system that can perform the Map Task with users. To our knowledge, this is the first example of a dialogue system that uses automatically extracted syntactic, prosodic and contextual features for online detection of response locations. A subjective evaluation of the dialogue system suggests that interactions with a system using our trained model were perceived significantly better than those with a system using a model that made decisions at random. Abstract: In this paper, we present a user study where a robot instructs a human on how to draw a route on a map, similar to a Map Task. This setup has allowed us to study user reactions to the robot’s conversational behaviour in order to get a better understanding of how to generate utterances in incremental dialogue systems. We have analysed the participants' subjective rating, task completion, verbal responses, gaze behaviour, drawing activity, and cognitive load. The results show that users utilise the robot’s gaze in order to disambiguate referring expressions and manage the flow of the interaction. Furthermore, we show that the user’s behaviour is affected by how pauses are realised in the robot’s speech. Abstract: We present a data collection setup for exploring turn-taking in three-party human-robot interaction involving objects competing for attention. The collected corpus comprises 78 minutes in four interactions. Using automated techniques to record head pose and speech patterns, we analyze head pose patterns in turn-transitions. We find that introduction of objects makes addressee identification based on head pose more challenging. The symmetrical setup also allows us to compare human-human to human-robot behavior within the same interaction. We argue that this symmetry can be used to assess to what extent the system exhibits a human-like behavior. Abstract: We present a human evaluation of the usefulness of conceptual route graphs (CRGs) when it comes to route following using spoken route descriptions. We describe a method for data-driven semantic interpretation of route de-scriptions into CRGs. The comparable performances of human participants in sketching a route using the manually transcribed CRGs and the CRGs produced on speech recognized route descriptions indicate the robustness of our method in preserving the vital conceptual information required for route following despite speech recognition errors. Abstract: The demonstrator presents a test-bed for collecting data on human–computer dialogue: a fully automated dialogue system that can perform Map Task with a user. In a first step, we have used the test-bed to collect human–computer Map Task dialogue data, and have trained various data-driven models on it for detecting feedback response locations in the user’s speech. One of the trained models has been tested in user interactions and was perceived better in comparison to a system using a random model. The demonstrator will exhibit three versions of the Map Task dialogue system—each using a different trained data-driven model of Response Location Detection. Abstract: This paper investigates forms and functions of user feedback in a map task dialogue between a human and a robot, where the robot is the instruction-giver and the human is the instruction-follower. First, we investigate how user acknowledgements in task-oriented dialogue signal whether an activity is about to be initiated or has been completed. The parameters analysed include the users’ lexical and prosodic realisation as well as gaze direction and response timing. Second, we investigate the relation between these parameters and the perception of uncertainty. Abstract: We present a novel application of the chunking parser for data-driven semantic interpretation of spoken route directions into route graphs that are useful for robot navigation. Various sets of features and machine learning algorithms were explored. The results indicate that our approach is robust to speech recognition errors, and could be easily used in other languages using simple features. Abstract: Autonomous robots should be able to find directions and navigate their way to a destination in unknown urban environments by seeking route directions from passersby, like humans do. In this paper, we present a data-driven approach for automatic interpretation of spoken route directions into a route graph that may be useful for robot navigation. The results indicate that our approach is robust in handling speech recognitions error and it is indeed possible to get people to freely describe route directions. Abstract: In this paper, we present a fully automated spoken dialogue sys-tem that can perform the Map Task with a user. By implementing a trick, the system can convincingly act as an attentive listener, without any speech recognition. An initial study is presented where we let users interact with the system and recorded the interactions. Using this data, we have then trained a Support Vector Machine on the task of identifying appropriate locations to give feedback, based on automatically extractable prosodic and contextual features. 200 ms after the end of the user’s speech, the model may identify response locations with an accuracy of 75%, as compared to a baseline of 56.3%. Abstract: Back projecting a computer animated face, onto a three dimensional static physical model of a face, is a promising technology that is gaining ground as a solution to building situated, flexible and human-like robot heads. In this paper, we first briefly describe Furhat, a back projected robot head built for the purpose of multimodal multiparty human-machine interaction, and its benefits over virtual characters and robotic heads; and then motivate the need to investigating the contribution to speech intelligibility Furhat’s face offers. We present an audio-visual speech intelligibility experiment, in which 10 subjects listened to short sentences with degraded speech signal. The experiment compares the gain in intelligibility between lip reading a face visualized on a 2D screen compared to a 3D back-projected face and from different viewing angles. The results show that the audio-visual speech intelligibility holds when the avatar is projected onto a static face model (in the case of Furhat), and even, rather surprisingly, exceeds it. This means that despite the movement limitations back projected animated face models bring about; their audio visual speech intelligibility is equal, or even higher, compared to the same models shown on flat displays. At the end of the paper we discuss several hypotheses on how to interpret the results, and motivate future investigations to better explore the characteristics of visual speech perception 3D projected animated faces. Abstract: We will show in this demonstrator an advanced multimodal and multiparty spoken conversational system using Furhat, a robot head based on projected facial animation. Furhat is a human-like interface that utilizes facial animation for physical robot heads using back-projection. In the system, multimodality is enabled using speech and rich visual input signals such as multi-person real-time face tracking and microphone tracking. The demonstrator will showcase a system that is able to carry out social dialogue with multiple interlocutors simultaneously with rich output signals such as eye and head coordination, lips synchronized speech synthesis, and non-verbal facial gestures used to regulate fluent and expressive multiparty conversations. Abstract: We present a first step towards a model of speech generation for incremental dialogue systems. The model allows a dialogue system to incrementally interpret spoken input, while simultaneously planning, realising and selfmonitoring the system response. The model has been implemented in a general dialogue system framework. Using this framework, we have implemented a specific application and tested it in a Wizard-of-Oz setting, comparing it with a non-incremental version of the same system. The results show that the incremental version, while producing longer utterances, has a shorter response time and is perceived as more efficient by the users. Abstract: We present a general model and conceptual framework for specifying architectures for incremental processing in dialogue systems, in particular with respect to the topology of the network of modules that make up the system, the way information flows through this network, how information increments are 'packaged', and how these increments are processed by the modules. This model enables the precise specification of incremental systems and hence facilitates detailed comparisons between systems, as well as giving guidance on designing new systems. Abstract: This paper presents a simple, yet effective model for managing attention and interaction control in multimodal spoken dialogue systems. The model allows the user to switch attention between the system and other humans, and the system to stop and resume speaking. An evaluation in a tutoring setting shows that the user’s attention can be effectively monitored using head pose tracking, and that this is a more reliable method than using push-to-talk. Abstract: This paper describes a fully incremental dialogue system that can engage in dialogues in a simple domain, number dictation. Because it uses incremental speech recognition and prosodic analysis, the system can give rapid feedback as the user is speaking, with a very short latency of around 200ms. Because it uses incremental speech synthesis and self-monitoring, the system can react to feedback from the user as the system is speaking. A comparative evaluation shows that naïve users preferred this system over a non-incremental version, and that it was perceived as more human-like. Abstract: We describe the MonAMI Reminder, a multimodal spoken dialogue system which can assist elderly and disabled people in organising and initiating their daily activities. Based on deep interviews with potential users, we have designed a calendar and reminder application which uses an innovative mix of an embodied conversational agent, digital pen and paper, and the web to meet the needs of those users as well as the current constraints of speech technology. We also explore the use of head pose tracking for interaction and attention control in human-computer face-to-face interaction. Abstract: This paper presents an early version of the Reminder, a prototype ECA developed in the European project MonAMI. The Reminder helps users to plan activities and to remember what to do. The prototype merges mobile ECA technology with other, existing technologies: Google Calendar and a digital pen and paper. The solution allows users to continue using a paper calendar in the manner they are used to, whilst the ECA provides notifications on what has been written in the calendar. Abstract: This paper presents a data-driven decision-theoretic approach to making grounding decisions in spoken dialogue systems, i.e., to decide which recognition hypotheses to consider as correct and which grounding action to take. Based on task analysis of the dialogue domain, cost functions are derived, which take dialogue efficiency, consequence of task failure and information gain into account. Dialogue data is then used to estimate speech recognition confidence thresholds that are dependent on the dialogue context. Abstract: This paper presents the current status of the research in the Higgins project and provides background for a demonstration of the spoken dialogue system implemented within the project. 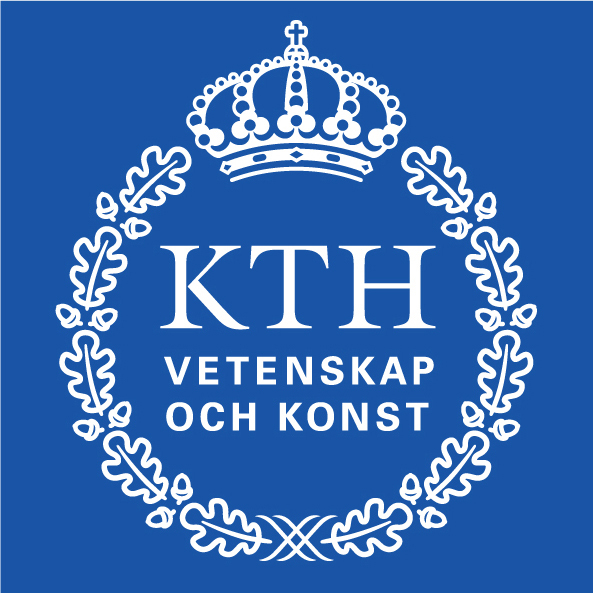 The project represents the latest development in the ongoing dialogue systems research at KTH. The practical goal of the project is to build collaborative conversational dialogue systems in which research issues such as error handling techniques can be tested empirically. Abstract: A study of the interpretation of prosodic features in backchannels (Swedish /a/ and /m/) produced by speech synthesis is presented. The study is part of work-in-progress towards endowing conversational spoken dialogue systems with the ability to produce and use backchannels and other feedback. Abstract: In this paper, actual user responses to fragmentary grounding utterances in Swedish human-computer dialog are investigated. Building on a previous study which demonstrated that listeners could use prosodic features (primarily peak height and alignment) to make different interpretations of such utterances, we now report on an experiment in which subjects participate in a color-naming task in a Wizard-of-Oz controlled human-computer dialog setting. The results show that two annotators were able to categorize the subjects' responses based on pragmatic meaning. Moreover, the subjects' response times differed significantly, depending on the prosodic features of the grounding fragment spoken by the system. Abstract: In this paper, a discourse modeller for conversational spoken dialogue systems, called GALATEA, is presented. Apart from handling the resolution of ellipses and anaphora, it tracks the “grounding status” of concepts that are mentioned during the discourse, i.e. information about who said what when. This grounding information also contains concept confidence scores that are derived from the speech recogniser word confidence scores. The discourse model may then be used for concept-level error handling, i.e. grounding of concepts, fragmentary clarification requests, and detection of erroneous concepts in the model at later stages in the dialogue. Abstract: In this paper, the effects of prosodic features on the interpretation of elliptical clarification requests in dialogue are studied. An experiment is presented where subjects were asked to listen to short human-computer dialogue fragments in Swedish, where a synthetic voice was making an elliptical clarification after a user turn. The prosodic features of the synthetic voice were systematically varied, and the subjects were asked to judge what was actually intended by the computer. The results show that an early low F0 peak signals acceptance, that a late high peak is perceived as a request for clarification of what was said, and that a mid high peak is perceived as a request for clarification of the meaning of what was said. The study can be seen as the beginnings of a tentative model for intonation of clarification ellipses in Swedish, which can be implemented and tested in spoken dialogue systems. Abstract: In this paper two studies are presented in which the detection of speech recognition errors on the word level was examined. In the first study, memory-based and transformation-based machine learning was used for the task, using confidence, lexical, contextual and discourse features. In the second study, we investigated which factors humans benefit from when detecting errors. Information from the speech recogniser (i.e. word confidence scores and 5-best lists) and contextual information were the factors investigated. The results show that word confidence scores are useful and that lexical and contextual (both from the utterance and from the discourse) features further improve performance. Abstract: In this paper, an overview of the Higgins project and the research within the project is presented. The project incorporates studies of error handling for spoken dialogue systems on several levels, from processing to dialogue level. A domain in which a range of different error types can be studied has been chosen: pedestrian navigation and guiding. Several data collections within Higgins have been analysed along with data from Higgins' predecessor, the AdApt system. The error handling research issues in the project are presented in light of these analyses. Abstract: This paper describes Pickering, the semantic interpreter developed in the Higgins project - a research project on error handling in spoken dialogue systems. In the project, the initial efforts are centred on the input side of the system. The semantic interpreter combines a rich set of robustness techniques with the production of deep semantic structures. It allows insertions and non-agreement inside phrases, and combines partial results to return a limited list of semantically distinct solutions. A preliminary evaluation shows that the interpreter performs well under error conditions, and that the built-in robustness techniques contribute to this performance. Abstract: This study examines coordination of referring expressions in multimodal human-computer dialogue, i.e. to what extent users’ choices of referring expressions are affected by the referring expressions that the system is designed to use. An experiment was conducted, using a semi-automatic multimodal dialogue system for apartment seeking. The user and the system could refer to areas and apartments on an interactive map by means of speech and pointing gestures. Results indicate that the referring expressions of the system have great influence on the user’s choice of referring expressions, both in terms of modality and linguistic content. From this follows a number of implications for the design of multimodal dialogue systems. Abstract: This project explores a novel experimental setup towards building spoken, multi-modally rich, and human-like multiparty tutoring agent. A setup is developed and a corpus is collected that targets the development of a dialogue system platform to explore verbal and nonverbal tutoring strategies in multiparty spoken interactions with embodied agents. The dialogue task is centered on two participants involved in a dialogue aiming to solve a card-ordering game. With the participants sits a tutor that helps the participants perform the task and organizes and balances their interaction. Different multimodal signals captured and auto-synchronized by different audio-visual capture technologies were coupled with manual annotations to build a situated model of the interaction based on the participants personalities, their temporally-changing state of attention, their conversational engagement and verbal dominance, and the way these are correlated with the verbal and visual feedback, turn-management, and conversation regulatory actions generated by the tutor. At the end of this chapter we discuss the potential areas of research and developments this work opens and some of the challenges that lie in the road ahead. Al Moubayed, S., Beskow, J., Skantze, G., & Granström, B. (2012). Furhat: A Back-projected Human-like Robot Head for Multiparty Human-Machine Interaction. In Esposito, A., Esposito, A., Vinciarelli, A., Hoffmann, R., & C. Müller, V. (Eds. ), Cognitive Behavioural Systems. Lecture Notes in Computer Science (pp. 114-130). Springer. Abstract: In this demonstrator we present the Furhat robot head. Furhat is a highly human-like robot head in terms of dynamics, thanks to its use of back-projected facial animation. Furhat also takes advantage of a complex and advanced dialogue toolkits designed to facilitate rich and fluent multimodal multiparty human-machine situated and spoken dialogue. The demonstrator will present a social dialogue system with Furhat that allows for several simultaneous interlocutors, and takes advantage of several verbal and nonverbal input signals such as speech input, real-time multi-face tracking, and facial analysis, and communicates with its users in a mixed initiative dialogue, using state of the art speech synthesis, with rich prosody, lip animated facial synthesis, eye and head movements, and gestures. Abstract: In a previous study we demonstrated that subjects could use prosodic features (primarily peak height and alignment) to make different interpretations of synthesized fragmentary grounding utterances. In the present study we test the hypothesis that subjects also change their behavior accordingly in a human-computer dialog setting. We report on an experiment in which subjects participate in a color-naming task in a Wizard-of-Oz controlled human-computer dialog in Swedish. The results show that two annotators were able to categorize the subjects' responses based on pragmatic meaning. Moreover, the subjects' response times differed significantly, depending on the prosodic features of the grounding fragment spoken by the system. Abstract: We present an experiment where subjects were asked to listen to Swedish human-computer dialogue fragments where a synthetic voice makes an elliptical clarification after a user turn. The prosodic features of the synthetic voice were systematically varied, and subjects were asked to judge the computer's actual intention. The results show that an early low F0 peak signals acceptance, that a late high peak is perceived as a request for clarification of what was said, and that a mid high peak is perceived as a request for clarification of the meaning of what was said. The study can be seen as the beginnings of a tentative model for intonation of clarification ellipses in Swedish, which can be implemented and tested in spoken dialogue systems.